The text on the plate above says the things I wish for all of us this year. What could be better than that? Maybe Mary's mincemeat pie. Wish I could share it with you. The crust is the best. 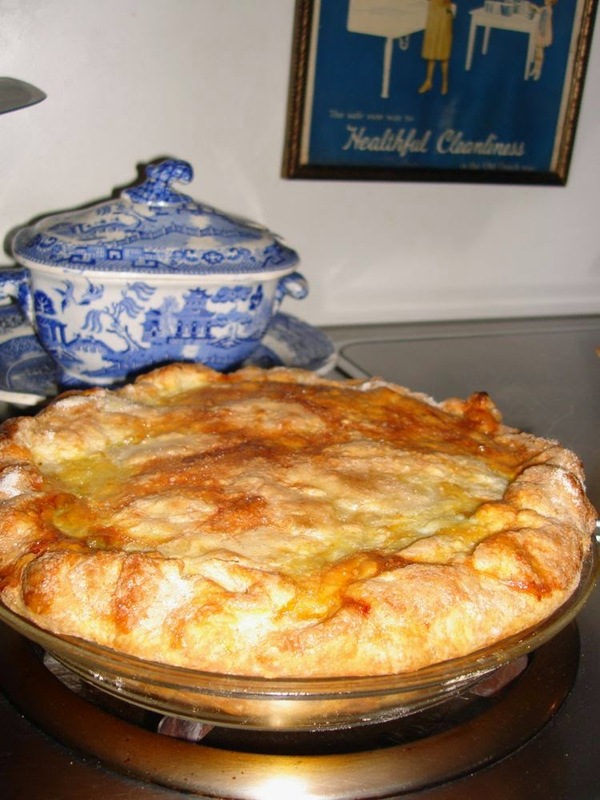 Mary has been making the pie since the '50s. Notice the Willow sauce tureen behind it. 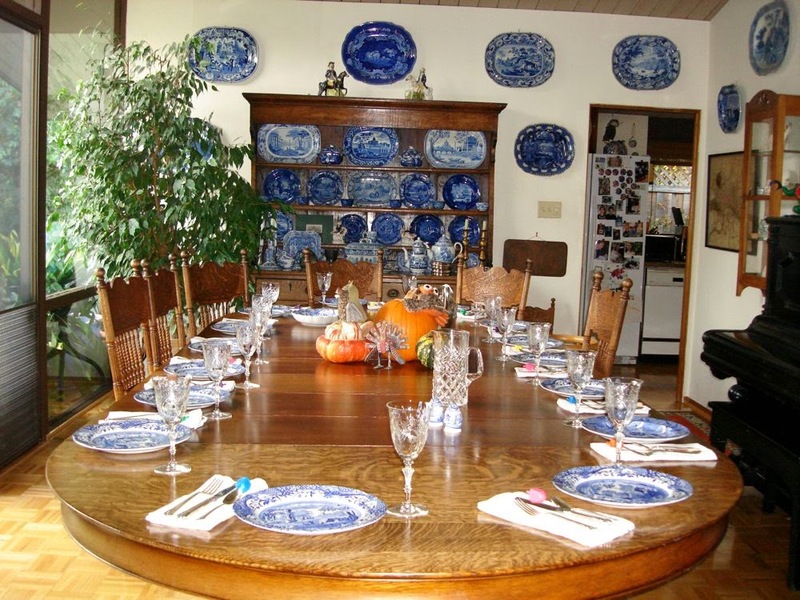 My 2013 Thanksgiving table features Spode "Blue Italian" plates. 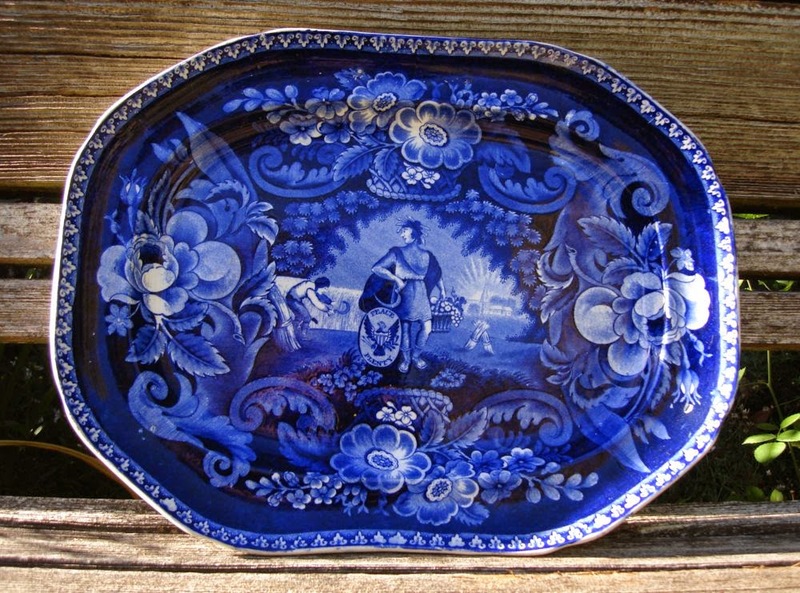 My plates were new in the 1970s, but the pattern was made by Spode from about 1816 to 2009. I never use a tablecloth. I really enjoy the beautiful quarter sawn oak table top. No need to hide it. 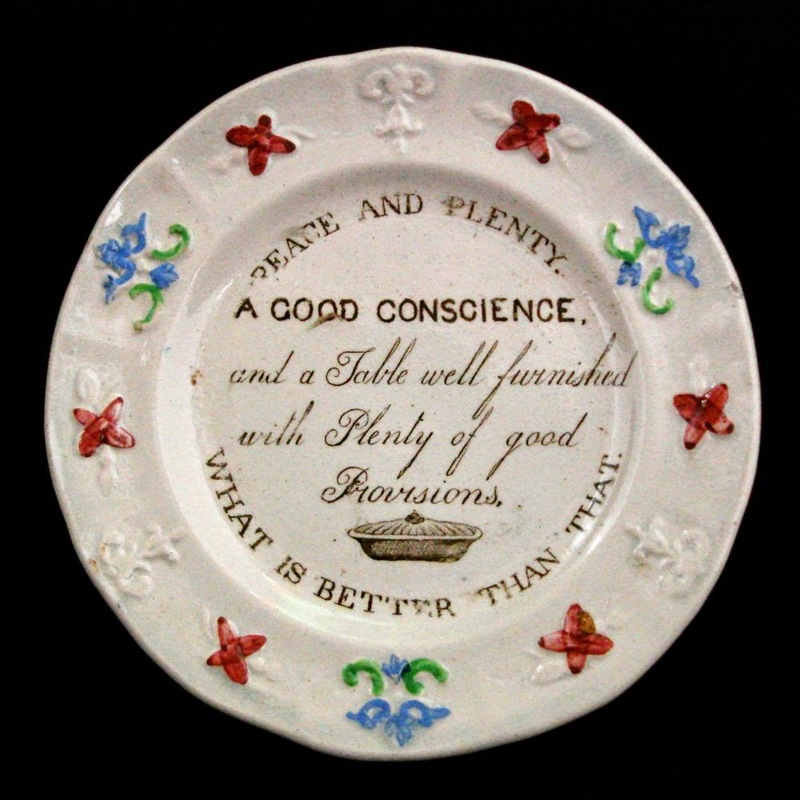 I am ending this post with another "Peace and Plenty" transferware pattern. We can always hope for both. If you want to see more Thanksgivingish patterns, read my Thanksgiving post from last year. PRESENT FOR MY DEAR BOY'S FIRST BIRTHDAY!